If you re looking for a state of the art clearomizer then the X9 Protank is the one you want. It is a bottom feeding clearomizer with a tank made of Pyrex glass and coils that can be replaced. It is 510 threaded so not only will it work great with your MOD, it will function on any ego battery also. Different from other clearomizers, the mouthpiece on the X9 is permanently attached. This allows you to change the coils or refill without having to remove the liquid.The X9 is a hip addition to the K101 Mod. Not only does it come in colors that are complimentary to each other, the size of this clearomizer makes the overall look streamlined and funky. You’ll wow your friends and impress your co-workers when you bring out this all around great MOD and its partner in crime the X9. The all metal construction and chrome finish with color accents makes the K-100 a real eye-catcher. The K100 has a 510 / eGo threading for use with almost any atomizer, clearomizer or cartomizer with 510 or eGo threading. 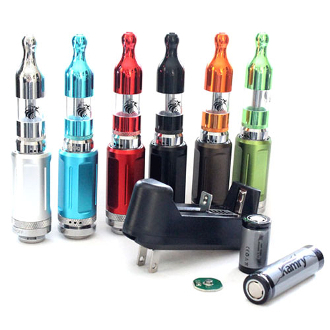 The K100 is able to use a Kick chip with 18350 or 18490/18500 batteries only.